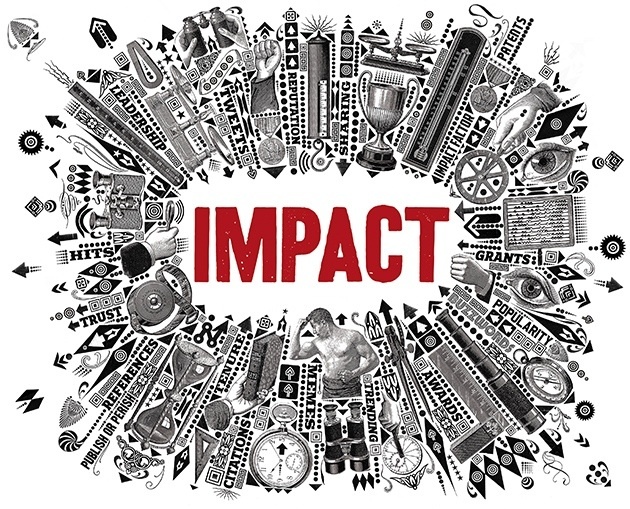 BlogHome » Blog » It’s All About Impact ! Last week I attended a Social Impact workshop led by Rosie Jolly, CEO of Social Enterprise Network and Liverpool City Council’s Mayoral Lead for Social and Community Enterprise and Social Value. The workshop focused on the importance of building a Social Value Strategy and was aimed at members of the network. One of the things the group discussed was the blurring of the lines between the social enterprise sector and something that the Government is calling ‘mission-led businesses’ . The Cabinet Office’s Mission-led Business Review was announced on 24 March 2016. The Review is focused on understanding the nature, potential and needs of mission-led businesses and identifying private, philanthropic and public opportunities to double the social and economic impact of mission-led businesses over the next decade. Which sounds very admirable ………. but what is a mission-led business? The review seeks to distinguish between businesses that are intentionally and strategically mission-led in this way and ordinary commercial businesses that engage in corporate social responsibility initiatives. ‘The UK is widely recognised as having the most advanced social investment market in the world. We created the world’s first social investment bank, the first social investment tax relief and the first-ever social impact bond. It is my ambition to build on that reputation by helping more businesses utilise their inherent drive and ambition to put social impact at their core. This could create value for shareholders and society as a whole. Every business could if they wished, be a mission-led business. A mission-led business is likely to set up as a company limited by shares, rather than use familiar social sector legal forms, such as a charity, a Community Interest Company or a community benefit society. Most mission-led businesses are distinct from most social enterprises because they do not have legal restrictions on how they use or distribute the majority of their assets or profits. Some larger businesses with structures such as a public listed company are also exploring how they can repurpose themselves to become mission-led. But what might be impact…. [sorry …..no pun intended] …of this planned side-lining of the identity of our sector mean and for social enterprise activity as we currently know it? Could, as several academics and high profile local leaders in the sector think, this pave the way for the likes of Tesco, the big construction companies and other resource-rich companies take advantage of the proposed lack of distinction between social enterprise as we know it and allowing them to place themselves centre-stage and ultimately in a better light socially and environmentally …….without having the grassroots impact that social enterprises work so hard to achieve? And does this open the flood gates for business to adopt this new model to the detriment of the social enterprise sector? “the idea of social enterprise is now more associated with benefit corporations and B Corps than with the selfless, unsexy nonprofit social enterprise model in which impact is part of the DNA.” He added his concern that “the work of true social enterprises, that put real impact first, will be overshadowed and ignored.” Source: http://huff.to/29r1wsW. Leaders and participants in these newly defined ‘mission-led businesses’ could also assume that all nonprofits are dependent on grants and contributions, and are therefore ill-equipped to function in the marketplace. Perceptions of the professionalism of the sector could be another area for us as social enterprises to work on perhaps? On the other hand ………if a small change in a large multinational prevents the dumping of 100 thousand tons of CO2, isn’t that is exactly as valuable as the same reduction being achieved by a specialized NGO dedicated entirely to that purpose. Should we look more at the social impact each social enterprise has, rather than how “pure” they are at achieving it? So maybe what matters is impact, not structure? Social Value UK North West members group this week discussed the summary of a recent local stakeholder engagement process relating to this in Liverpool. One member said ……. It was pretty negative unfortunately – with a concern over the very definition of mission-led businesses, and a belief that government may be moving towards a model of social financing rather than funding (what there is left) where they take a stake in the organisation. In the meantime, SEN working in partnership with the Heseltine Institute recently established The Liverpool City Region Social Economy Panel which has been endorsed by Rob Wilson MP Minister for Civil Society. Part of the panels remit is to start to develop a Strategy for the social economy across the Liverpool City Region one which is aligned to the devolution, enables the social economy to be recognised for the contribution and impact it has on the local economy, jobs, communities etc, and one which allows us to strength the strategic position of the sector and understand any market gaps the region may have which may need to be developed. The Strategy is expected in early 2017. For me these thoughts……. once again …….boil down to the importance of being able to give a robust and coherent report of the social value we create! Join in the conversation below, I’ve got a feeling this is going to be a long debate …….! …and under this government definition, it can be clearly shown that McDonalds UK is a mission-led business!